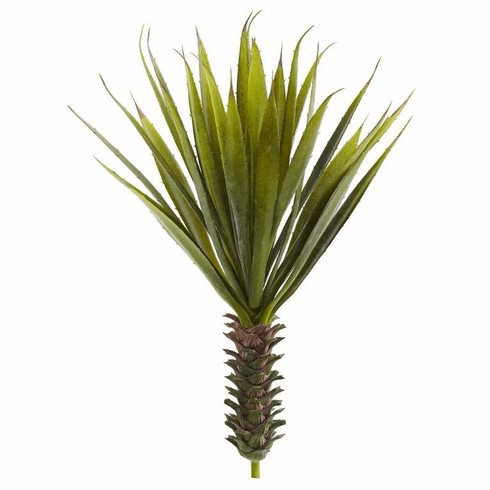 A pineapple-like trunk with 23" agave leaves brings a tropical accent to your home. Spiky Agave leaves come in a set of two to create a symmetrical display. Add the exotic plant to a terracotta planter for a southwest inspired look.